Chapter 11 allows for the restructuring of debts and is often referred to as a reorganization case. Chapter 11 is most commonly filed by companies but may be used by individuals in certain cases. When businesses, whether they be large corporations or single-member LLCs, are unable to pay their debts as they become due, Chapter 11 provides an opportunity to reorganize. In contrast to Chapter 7, which provides for the termination of a business and the liquidation of its estate, Chapter 11 allows for the reorganization of debt so that the entity can remain in business as a going concern. Unlike under other chapters of bankruptcy, in Chapter 11 no trustee is appointed in the first instance to oversee the estate. Rather, the debtor itself continues to conduct its financial affairs as a debtor-in-possession, with fiduciary duties that run to its creditors under the supervision and oversight of the bankruptcy court. The filing of a Chapter 11 case results in an automatic stay against creditor collection actions, thereby freezing pre-bankruptcy debts. During the reorganization case, the company can focus on selling non-critical assets, rejecting leases for unprofitable locations, pursuing outside investments, or otherwise working to improve profitability and cash flow so that ultimately a plan can be proposed for dealing with the pre-bankruptcy debts. A plan must be proposed in good faith and in compliance with the law. Creditors will be grouped into classes under the plan and be given an opportunity to vote in support of or against confirmation of such plan. Generally, a certain minimum of votes from the creditors is needed to qualify for a successful reorganization. In the event the reorganization process is not successful, the case will likely convert to Chapter 7 for a liquidation under the control of a bankruptcy trustee. Who Can Benefit From Chapter 11 Bankruptcy? 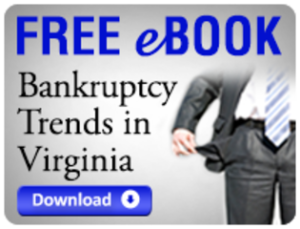 Chapter 11 bankruptcy is used by all types of businesses seeking to restructure their finances, and occasionally by individuals. There are some cases where it makes sense for an individual to pursue relief under Chapter 11. A common scenario involves an individual who seeks to reorganize but is ineligible for relief under Chapter 13 because of the debt ceilings that exist thereunder. Chapter 11 proceedings are expedited for entities that qualify as small business debtors, a designation that offers some advantages. Chapter 11 is complex and time-consuming, but it provides a unique opportunity for a company to reorganize. A reorganized business remains in operation. Employees may retain their jobs. Customers’ needs continue to be satisfied. Creditors, as required by the Bankruptcy Code, recover a greater portion of their claims than what they would receive in a Chapter 7 liquidation case. Finally, like an individual in personal bankruptcy under Chapter 7 or Chapter 13, a company is eligible to receive a discharge of its debts under a confirmed plan of reorganization. Its liability on the pre-bankruptcy creditor claims is replaced with an obligation to comply with the repayment terms of the confirmed plan. Tyler, Bartl & Ramsdell, P.L.C. specializes in all forms of bankruptcy. We have provided assistance to individuals and businesses seeking relief under Chapter 7, 11, 12 and 13 for more than 30 years.